The hostel has only eight rooms. One of the Junior Suites has a fireplace and a balcony overlooking a courtyard. 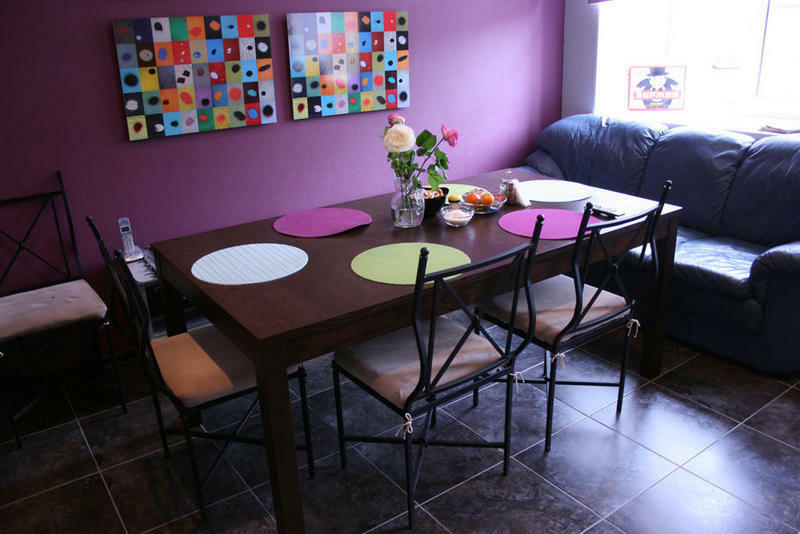 We have two eight-bed rooms, two six-bed rooms and two four-bedded rooms. In each room you will find a cozy bed and a towel. 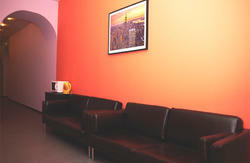 The hostel offers wireless internet access Wi-Fi. In the living room - a plasma TV and sofa. And in the kitchen for you dishes, stove, kettle, microwave, refrigerator, washing machine are provided. If necessary, you can borrow at the reception and iron, hair dryer and even an umbrella. Our friendly staff will give advise on guided tours, book a taxi and tell the best routes for walking. Smoking in the rooms is prohibited, for that there is a special smoking area available. Breakfast is not included, but during the day we treat you to free tea, coffee and snacks. 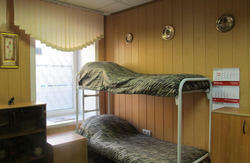 Hostel 'Activ' is located in a quiet courtyard in the heart of the bustling Nevsky Prospekt. Across the road from our hostel is the metro station Mayakovskaya. Nearby, in the five minutes of slow walking, is the Moskovsky Railway station, metro Ploshad' Vosstania, as well as two of the largest shopping and entertainment center in northwest Russia: TC Nevsky Center and TRC Gallery. Just within walking distance there are lots of shops, cafes, restaurants and nightspots to suit every taste and budget.